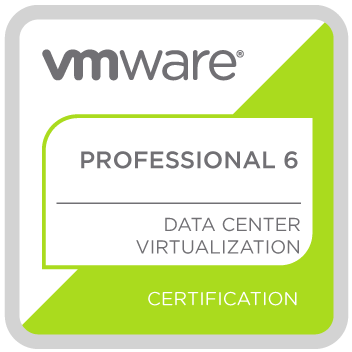 VMware vCloud® Architecture Toolkit™ for Service Providers (vCAT-SP) is a set of reference documents that are designed to help VMware service provider partners within the VMware vCloud Air™ Network define, design, implement, and operate their VMware powered cloud platforms and services. vCAT-SP is completely hardware vendor agnostic, although some vendors are mentioned in the implementation examples because the examples are based on implementations that VMware has performed with customers in the field. The design guidelines and considerations highlighted in the vCAT-SP documentation are based on real world use cases and implementation experience gained from the field. The consumer (architect) will have the opportunity to choose design considerations that are important to the success of the cloud platform, and should consider interrelated design options holistically. For example, a requirement for higher performance might influence management and operations. architect on implementing a specific part of the solution. 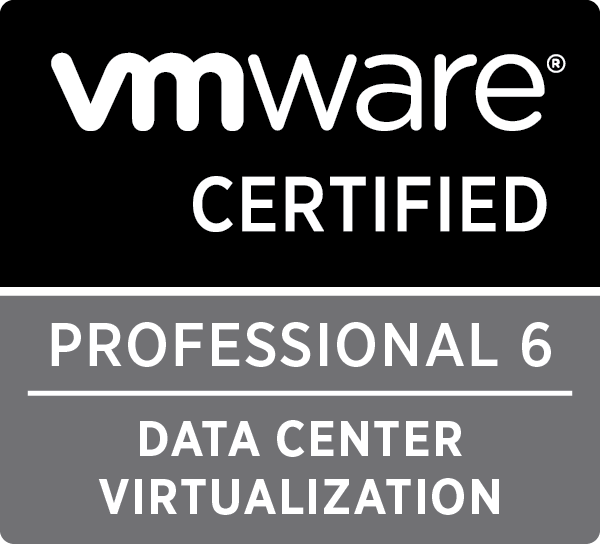 For example, the Architecting VMware NSX for Service Providers document can be used by a service provider who has already implemented a core cloud product based on VMware vSphere® or VMware vCloud Director®, understands how this component fits into a wider solution, and knows how to design based on required outcomes and use cases. General documents – Document map and introduction on how to consume and leverage vCAT-SP. Service definition documents – Documents that enable the consumer to effectively define requirements for the cloud platform and determine what services to offer to their end users. Architecture documents – Documents that highlight the logical design and operational considerations within a specific architectural domain. Solution architecture example documents – Documents that provide solution architecture examples of a cloud platform. Solutions and services examples – Documents that provide architecture guidance and implementation blueprints for value-add services and solutions that can be added to the core cloud platform. 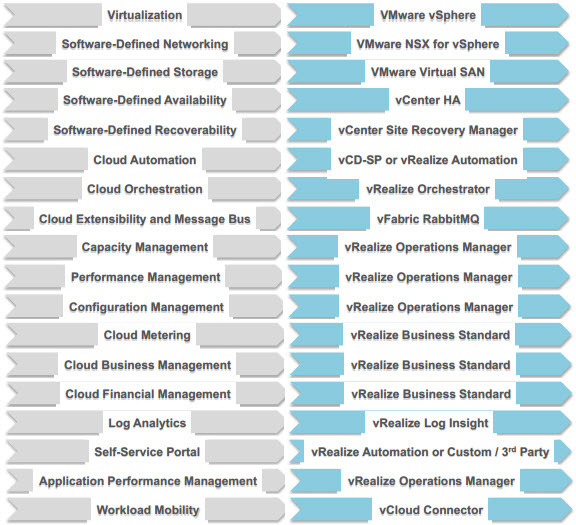 the VMware products that align to those areas. Download Introduction to vCloud Architecture Toolkit for Service Providers Guide. Watch this “lightboard” video led by Ryan Johnson, Staff Technical Marketing Architect, on how to build a hybrid cloud based on VMware Cloud Foundation and vRealize Suite. The VMware SDDC Manager allocates cloud capacity into workload domains. Each workload domain is backed by a vSphere cluster and is managed by its own vCenter Server instance. In each workload domain, a virtual distributed switch is created with multiple VLAN-backed port groups to logically segregate and isolate the different traffic types. VMware NSX is then deployed to provide virtual networking and advanced security services. In this video, we demonstrate the creation of a Virtual Desktop Infrastructure, or VDI Workload Domain using the VMware SDDC Manager. In this video, we demonstrate the creation of a Virtual Infrastructure Workload Domain using the VMware SDDC Manager. VMware Cloud Foundation leverages vSAN ready-nodes to implement a simple, efficient and highly scalable storage architecture for the SDDC. Leveraging the automation capabilities of the SDDC Manager it’s easy to create workload domains and provision new vSAN data stores. vSAN radically simplifies storage and makes it easy to deploy a modern software-defined data center. NOTE: This video is roughly 50 minutes in length so it would be worth blocking out some time to watch it!